Update 2016-04-15: The game is now also available in the US iTunes store. 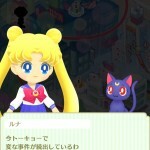 In September Sailor Moon Drops, a Sailor Moon game for iOS and Android, was released in Japan. 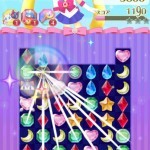 An English version of the game, now called SailorDrops, is now available in the Canadian iTunes Store and Google Play Store. Since this game is free American users should have no trouble downloading it. You’ll just need to switch your iTunes store to Canada (using the link on the bottom right of iTunes) and registering a Canadian iTunes account with a new e-mail address. Don’t like having to jump through these hoops to play this game? How do you think we enjoy watching stuff on Hulu?! Update: It seems that this game is region locked and not playable on US iPhones. Hopefully the game will be out in the US soon. 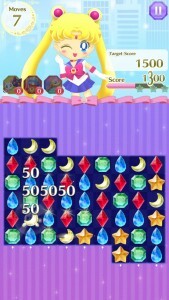 The game is all about matching sets of three symbols to make chains and complete levels by getting certain points in a certain number of moves. The mechanics were a bit of a mystery in the Japanese version but this English version with English tutorials should be quite easy to follow. 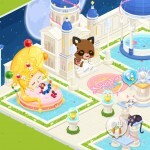 The Japanese game has had a number of events and I’m not sure what the event schedule will be for the English game. A lot of them were date sensitive so starting those later in the English version wouldn’t make a ton of sense. 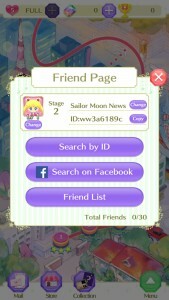 Be sure to add me as a friend. 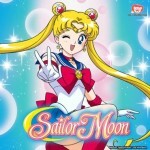 My username is Sailor Moon News and my ID is ww3a6189c. I probably won’t be the one playing but my girlfriend is pretty much obsessed with this game so if she switches from the Japanese version to this one, that account will have a lot of activity. 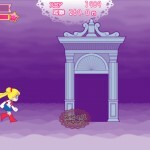 This entry was posted in Video Games and tagged Android, iOS, Sailor Moon Drops by Adam. Bookmark the permalink. When will it be available in the States? 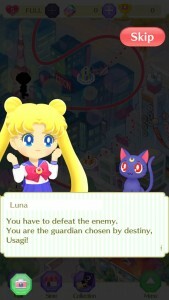 Will the other Reality Check hosts give you a hard time for getting hooked on a Sailor Moon cell phone game, Adam (just kidding)? When will it be available in America? I’m in the US and set up a Canadian iTunes account, and I’m having no problems playing it on my iPhone. The game is now available in the U.S. and I’ve been playing it for a few days now! I downloaded just now! Yehey!